What are the signs and symptoms of vertigo? What are the risk factors for vertigo? How do medical professionals diagnose vertigo? Are home remedies effective for treating vertigo? Is it possible to prevent vertigo? What is the prognosis for vertigo? Vertigo is the sense of the world spinning, rotating, or rocking that is experienced even when a person is holding perfectly still. Some patients use the term vertigo interchangeably with dizziness to describe a variety of symptoms, ranging from balance disorders and difficulty with walking to motion sickness or lightheadedness. However, most health care professionals consider vertigo to be a specific complaint that involves the balance centers of the inner ear and the brain. To understand vertigo, it's helpful to understand the anatomy of the ear. Sound waves travel through the outer ear canal until they reach the eardrum. From there, sound turns into vibrations, which transmits in the middle ear via three small bones -- the incus, the malleus, and the stapes -- to the cochlea and finally to the vestibular nerve, which carries the signal to our brain that interprets those nerve impulses as sound. The inner ear is not involved with hearing. It is composed of three semicircular canals, positioned at right angles to each other, that are lined with sensitive nerve cells, which act like a gyroscope for the body. This arrangement of the semicircular canals, in combination with the hair cells within the utricle and saccule and otoliths (tiny structures which trigger the hair cells in response to movement), make up the vestibular system. This system provides instantaneous feedback to the brain, along with vision and proprioception receptors in the body, regarding our position in space. Many children attempt to create a sense of vertigo by spinning or riding a merry-go-round or rollercoaster. 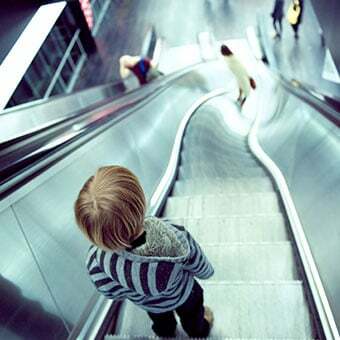 This type of induced vertigo is self-limiting; it lasts for a few moments and then disappears. In comparison, when vertigo occurs spontaneously or as a result of an injury or illness, it may last for many hours or days before resolving. Picture of the outer and inner structures of the ear. Vertigo is a feeling that you are dizzily turning around or that your surroundings are dizzily turning about you. Vertigo is medically distinct from dizziness, lightheadedness, and unsteadiness in that vertigo involves the sensation of movement. The symptoms of vertigo include a sense of spinning, loss of balance, whirling, or loss of balance. These symptoms can be present even when someone is perfectly still. Movement of the head or body, like rolling over in bed, can escalate or worsen the symptoms. Many people experience associated nausea or vomiting. While a patient may use the word dizziness, it is important for a health care professional to understand whether the patient is describing a sensation of spinning (vertigo) or whether dizziness is describes another symptom like lightheadedness, fainting, or nearly passing (syncope, near-syncope). Physical examination often shows signs of abnormal eye movements (called nystagmus). Health care professionals may try to reproduce the symptoms by abrupt movements of the patient's body or head, looking for nystagmus that can be produced by these maneuvers. It is important for the medical professional to determine whether inner ear problems or the cerebellum (the balance centers of the brain) is the cause of the vertigo. The patient may be asked to perform coordination tasks to make certain that the brain performs normally. Some tests might include reaching out to touch the examiner's index fingertip, sliding a heel up and down the opposite shin, or walking (to look for balance problems). There are a number of different causes of vertigo. Vertigo can be defined based upon whether the cause is peripheral or central. Central causes of vertigo arise in the brain or spinal cord, while peripheral vertigo is due to a problem within the inner ear. The structures in the inner ear may become inflamed spontaneously. Small crystals or stones found normally within the inner ear can become displaced and cause irritation to the small hair cells within the semicircular canals, leading to vertigo. This is known as benign paroxysmal positional vertigo (BPPV). Infection of the vestibular nerve can cause dizziness, or vertigo. This is called vestibular neuronitis, vestibular neuritis, or labyrinthitis. Fluid buildup within the inner ear or the endolymphatic system causes Ménière's disease, vertigo that also includes hearing loss and tinnitus (ringing in the ear). The cause of this fluid accumulation is unknown. Acoustic neuromas, tumors of the vestibular nerve, may also present with these three symptoms. 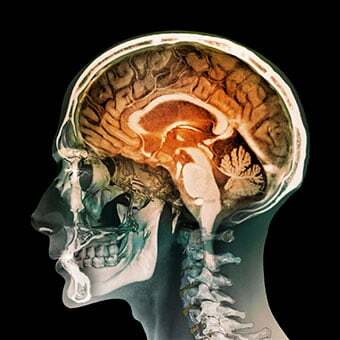 Concussion or traumatic brain injury may be associated with vertigo. Strokes may cause vertigo and loss of coordination. Some patients with a type of migraine headache called vestibular migraine may develop vertigo as a symptom. Head injuries may increase the risk of developing vertigo. 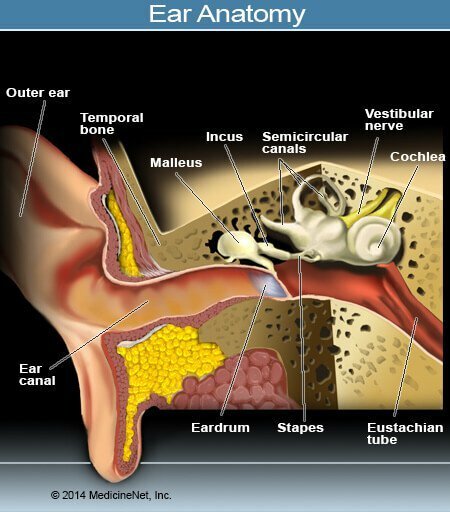 Ear infections may impact the vestibular nerve, leading to development of labyrinthitis. Vertigo may be a side effect of many medications, including some antiseizure medications, blood pressure medications, antidepressants, and even aspirin. For some people, drinking alcohol can cause vertigo. The risk of stroke increases with poorly controlled high blood pressure, diabetes, and smoking. About 2%-3% of a population is at risk of developing BPPV; older women seem to have a slightly higher risk of developing this condition. During an evaluation for vertigo, the health care professional usually asks questions to take a history of the events and symptoms associated with vertigo. This includes medications taken (even over-the-counter medications), recent illnesses, and prior medical problems. Even seemingly unrelated problems may provide a clue as to the underlying cause of the vertigo. After getting the person's medical history, a medical professional then performs a physical examination. This often involves a full neurologic exam to evaluate brain function and determine whether the vertigo is due to a central or peripheral cause. Signs of nystagmus (abnormal eye movements) or incoordination can help pinpoint the underlying problem. A physician then performs the Dix-Hallpike test to try to reproduce vertigo. This test involves abruptly repositioning the patient's head and monitoring the symptoms that might be provoked. Not every patient is a good candidate for this type of assessment, and the provider might instead perform a "roll test," during which a patient lies flat and the head is rapidly moved from side to side. Like the Dix-Hallpike test, this may reproduce vertigo symptoms and may be helpful in determining the underlying cause of the vertigo. If the diagnosis of peripheral vertigo is uncertain, it may be necessary to consult a vestibular physical therapist to help make the diagnosis and also treat the patient at the same time. 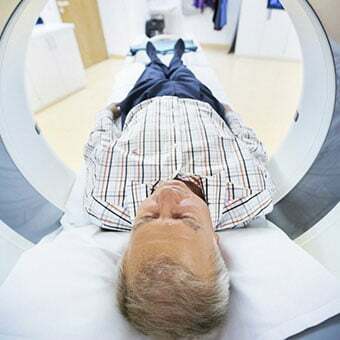 Some cases of vertigo may require an MRI or CT scan of the brain and inner ears to exclude a structural problem like stroke, multiple sclerosis, or acoustic neuroma, a non-malignant tumor. In rare cases, a small opening or fistula is identified between the perilymphatic space of the inner ear and the middle ear, leading to vertigo or other symptoms such as tinnitus or hearing loss. If hearing loss is suspected, audiometry (a hearing test) may be ordered. Hearing loss is not associated with BPPV or other common causes of vertigo. Electronystagmography, or electrical evaluation of vertigo, may help distinguish between peripheral and central vertigo but is not routinely performed. Some of the most effective treatments for peripheral vertigo include particle repositioning movements. The most well-known of these treatments is the Epley maneuver or canalith repositioning procedure. During this treatment, specific head movements lead to movement of the loose crystals (canaliths) within the inner ear. By repositioning these crystals, they cause less irritation to the inner ear and symptoms can resolve. Because these movements can initially lead to worsening of the vertigo, they should be done by an experienced health care professional or physical therapist. Brandt-Daroff exercises can help alleviate symptoms of positional vertigo. This involves quickly lying flat from a seated position, initially with your head pointed away from the side that causes vertigo. This needs to be repeated multiple times daily for the best benefit. 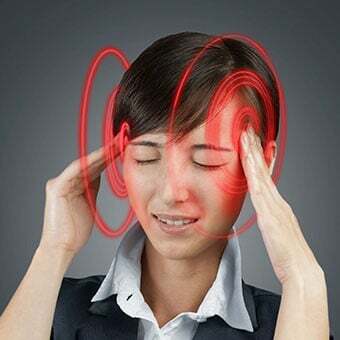 Other movements that have been identified as decreasing symptoms of vertigo or dizziness include the Semont maneuver and the Foster maneuver (half somersault). Medications may provide some relief but are not recommended for long-term use. Medical professionals often prescribe meclizine for persistent vertigo symptoms and may be effective. 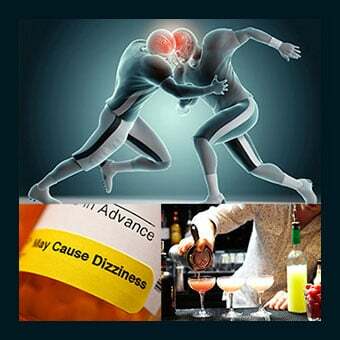 Benzodiazepine medications like diazepam (Valium) are also effective but may cause significant drowsiness as a side effect. Other medications may be used to decrease nausea or vomiting. It is should be recognized that medications treat the symptoms but do not "cure" the vertigo. For individuals with Ménière's disease, a consistent low-salt (low-sodium) diet is often recommended. This helps to decrease some of the fluctuations of fluid within the vestibular system, diminishing some of the symptoms caused by Ménière's disease. Betahistine is a prescription medication that has been used since the 1970s as a treatment of Ménière's disease. While several suggestions for treatment of vertigo can be found, most of these are ineffective. Many cases of vertigo resolve spontaneously within a few days, which may promote the belief that a certain home remedy has been beneficial in resolving the symptoms. 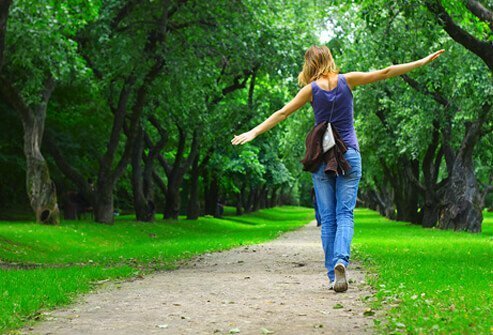 The vestibular rehabilitation exercises (Brand-Daroff exercises, along with the other exercises listed above) are meant to be done on a regular basis by patients and may lead to marked improvements in vertigo. Most cases of vertigo occur spontaneously, and it is difficult to predict who is at risk. Prevention may not be possible. However, maintaining a healthy lifestyle will decrease the risks of experiencing this condition. Controlling risk factors for stroke may decrease the risk of developing central vertigo. This includes life control of high blood pressure, diabetes, and cholesterol along with avoiding tobacco products. 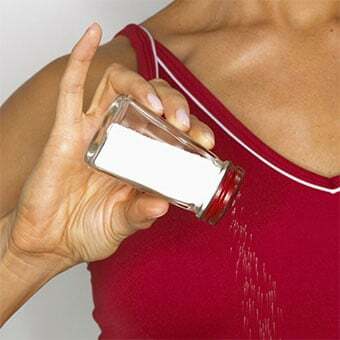 To decrease symptoms of vertigo in cases of Ménière's disease, controlling salt intake may be helpful. If a medical professional diagnoses peripheral vertigo, then performing vestibular rehabilitation exercises routinely may help prevent recurrent episodes. Left untreated, most vertigo resolves spontaneously in a few days. Most patients with peripheral vertigo can find substantial relief with treatment. The Epley maneuver is successful 90% of the time for cases of BPPV. There may be a recurrence rate of up to 15% in the first year after an episode. When vertigo persists, evaluation for any underlying structural problems of the brain, spinal canal, or inner ear may be necessary. Bhattacharyya, N., et al. "Clinical practice guideline: benign paroxysmal positional vertigo." Otolaryngology -- Head and Neck Surgery 139.5 Suppl 4 (2008): S47-S81. Bhattacharyya, N., S.P. Gubbels, S.R. Schwartz, et al. "Clinical Practice Guideline: Benign Paroxysmal Positional Vertigo (Update)." Otolaryngol Head Neck Surg 156 (3_suppl) Mar. 2017: S1-S47. Burmeister, D. B., et al. "Management of benign paroxysmal positional vertigo with the canalith repositioning maneuver in the emergency department setting." The Journal of the American Osteopathic Association 110.10 (2010): 602-604.
von Brevern, M., et al. "Epidemiology of benign paroxysmal positional vertigo: a population based study." Journal of Neurology, Neurosurgery, and Psychiatry 78.7 (2007): 710-715. Read more: Tinnitus: Why Are My Ears Ringing? Do you experience nausea, vomiting, or other symptoms with your vertigo? Do you know what causes or brings on your vertigo? What kind of treatment have you had for your vertigo? Did it help? Have you tried vestibular rehabilitation exercises (Cawthorne head exercises or the Epley maneuver) for your vertigo? Did they help? The tilt-table test is performed to detect one of the most common causes of fainting, orthostatic hypotension (postural hypotension). During the test, the patient's blood pressure and pulse are recorded while lying on the table as the table is tilted upward.